Straw green color. Fruity aromas and flavors of ripe pineapple, fruit cup, preserved pear in fondant, and struck match with a satiny, bright, dry-yet-fruity light-to-medium body and a smooth, brisk finish with notes of spiced pear butter on sourdough crisps, peach pit, and white pepper with no oak flavor. A silky-smooth Finger Lakes riesling in an anytime style. 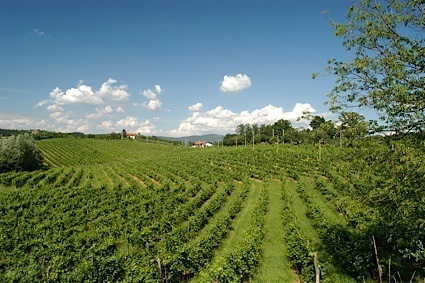 Bottom Line: A silky-smooth Finger Lakes riesling in an anytime style. 86 • Fulkerson 2017 Sauvignon Blanc, Finger Lakes 12% (USA) $17.00. 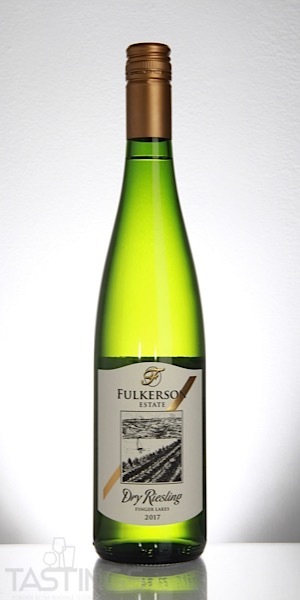 86 • Fulkerson 2017 Dry, Riesling, Finger Lakes 12% (USA) $14.00. 80 • Fulkerson 2015 Merlot, Seneca Lake 12% (USA) $18.00. Fulkerson 2017 Dry, Riesling, Finger Lakes rating was calculated by tastings.com to be 86 points out of 100 on 11/2/2018. Please note that MSRP may have changed since the date of our review.